If astrology speaks to anything, it’s the theme of aligning with who you are, at this moment, and navigating your way through life. 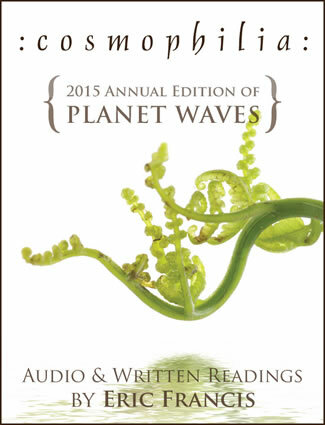 This is the theme I’m taking up with Cosmophilia, your 2015 annual readings from Planet Waves. My message: You belong here. 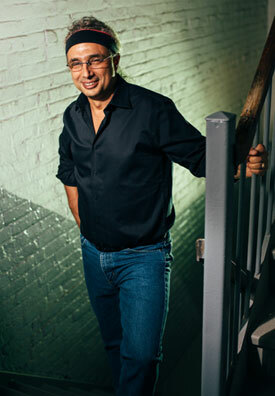 Belonging means being part of something larger than yourself, and also confident in yourself. To truly belong means being held by existence — a feeling that we would all like more of. I know that life demands constant adaptation that can make this seem more challenging every day — in your work, in relationships, or in our society that’s changing so fast nobody can keep up. Then of course there are your deeper goals, the ones that seem more difficult to reach. Astrology can help — and as you know, it does so dependably. Right now you may pre-order access to all 12 readings for $77 — just $6.50 per sign. This includes both written and audio formats, as well as magnificent art, original music and additional articles that will help you sort out your goals and your priorities. The readings are playable and downloadable on any device, and your access never expires. With our pricing structure, the fee for all 12 signs and rising signs will increase in $20 increments as we near publication, so get the best price now. 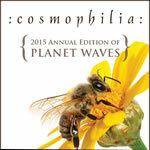 PS — You can pre-order Cosmophilia as a gift, and it makes an awesome one. It’s a lasting gift that someone will appreciate, benefit from and remember all year long. Note, the annual is not done by Christmas, it’s done in early January, which their gift email will state clarlt.